acne removal tips: Acne: What Is Acne and Why Do I Have It? Acne is a common problem faced by the youth of today. Though acne is not limited to young people, it is most commonly seen among young people. Acne basically is an inflammatory disease involving the sebaceous glands of the skin; characterized by papules or pustules. Acne enters its worst state when the papules get infected with bacteria and it becomes quite a painful experience then. The medical term for common acne is ‘acne vulgaris’ and it is considered as one of the most common skin diseases. It is estimated that almost 85% people develop acne some time between the ages of 11 and 25. Commonly acne arises at puberty and worsens during adolescence. In the current environmental condition even the new born babies are not safe from acne. There are different amplitudes of the acne infection. 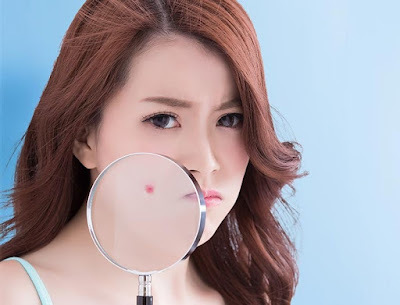 If you have only one or two papules in total, what you have is a mild case of acne, but one thing to take care here is that you will have to apply the right medicine here in the beginning stage before it’s too late and you lose control over the whole situation. When you see one or two papules in your face remember that it is the starting stage and it can get worse if you neglect it and try to leave it alone thinking that it is going to disappear all by itself and everything is going to be ok. In the moderate form of acne infection, almost half of your face gets covered with papules including blackheads whiteheads and comedones. In this stage the infection is not completely out of control but it is moderate. If you are in this situation, the best thing to do here is to consult a dermatologist without any delay. The treatment for moderate acne includes extraction or light therapy and a prescription treatment like an antimicrobial or retinoid cream. Sometimes, oral acne treatments or oral contraceptives have been known to work as well. One other problem is the scar it leaves behind even if it is completely cured. To avoid scars and black spots on the skin you should treat moderate acne as soon as possible. The worst stage of acne infection is severe acne infection and this stage is characterized by large number of deep bigger and cyst like papules. Pain and irritation is common in this stage and these painful papules will cover the whole face in one or two weeks. Consulting a dermatologist is a must do here, sooner you can do this better it is for you and your face. Oral antibiotics and medications such as accutane may be used at this stage as well as drainage techniques and surgical incision, also known as Acne Surgery. Injections of corticosteroids are also used as a treatment. Your dermatologist will apply the treatment that will match your stage of infection, severity and the nature of your skin. Acne treatment requires lots of patience as it sometimes take long periods to heal. One important thing is to keep your cool during the treatment and give your complete co operation to your dermatologist. Do not let those pimples overshadow your personality and be a blemish on your face. There is nothing incurable about it and what is important is the right treatment in the right time. There are certain glands known as the sebaceous glands present just beneath the skin surface. The function of this gland is to produce a secretion called ‘sebum’ which helps to keep our skin and hairs flexible and soft. These glands are placed inside small follicles known as sebaceous follicles. This follicle’s opening lies in contact with the skin surface and it is through this openings the sebum reaches the hairs and skin. Normally only a sufficient amount of sebum is produced by the glands and the excess secretion is removed instantly. But under several situations large amount of sebum is produced by the glands and this is unwanted. There are several things which can trigger heavy sebum secretion. Increased amount of androgen hormone is one of those reasons. When sebum is produced heavily, the efficient removal of it from the pores becomes impossible or difficult. Additionally the cells lining the follicles shed quickly and accumulate in the follicle. The excess sebum then combines with these dead cells and form a plug or comedo. This accumulated substance which is a mixture of dead cells and sebum then blocks the pore of the follicles and cause a bulging which is visible in the skin surface, this is commonly referred to as whiteheads. This when turns black in color it is known as blackhead. Infection results when a plugged follicle is infected by the bacteria. A bacterium named Propionibacterium acnes is most common. Other micro organisms can also invade the plugged follicle and cause infection.